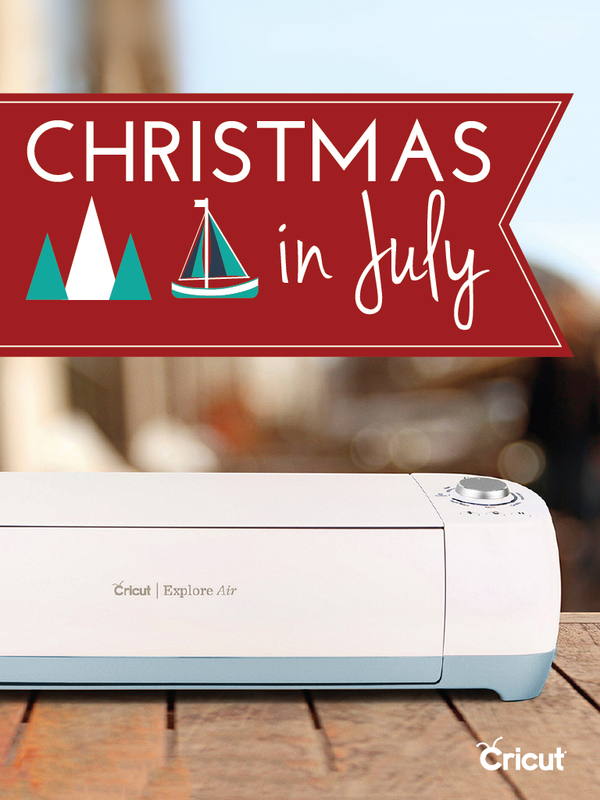 Get Creative with Cricut: Christmas in July Sale! When I was in Chicago this past May, I was fortunate to meet with representatives from Cricut. I was eyeing up the different machines and knew that my semi-creative self would adore having one in the house. I can get creative with Cricut and so can you! Sitting in my living room is a large box with a new Cricut that I am eager to dig into this month. There are so many options for what you can do with this one machine. Note ~ I am so in love with Cricut and the possibilities it offers for families, especially homeschooling ones, that I signed up as an affiliate. Links in this post are my affiliate ones which means I may receive a commission based on your purchases through it. There is no charge to you for using the links. Unfamiliar with Cricut? Basically, this is like a printer (hooked up to a computer) that instead of printing ink onto paper will CUT out patterns on materials. You can use the easy to use design software and then select your material and have the machine cut it out leaving you with just the assembly. In Chicago, I was able to see a demo of the Cricut in action. It was definitely a learning experience as the gal showing me realized after the machine started that the first step involved scoring and not cutting. Personally, I love this type of learning and know if I was in a hurry I could easily forget to switch out parts. 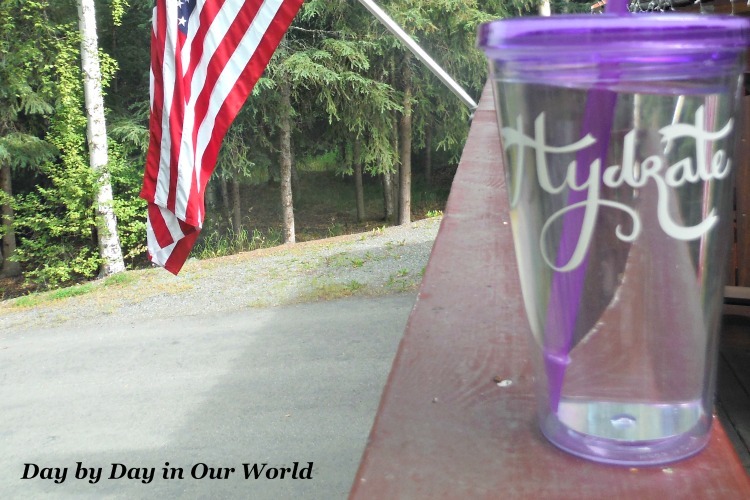 What I did get to make and take is this awesome cup with the word hydrate cut in a white vinyl. The application process is not difficult but does require some patience as you carefully lift the vinyl off the original backing while using a transfer piece to then position it onto the cup. The more intricate the design (such as the hand-drawn Hydrate), the more opportunity for challenges in the transfer process. For most adults, I would find the process relatively easy. However, if you have some younger kids trying to be helpful it could get interesting. I will admit that I am totally wanting to drink more water each day with this pretty cup. This would be an awesome addition to a health-focused gift basket for a friend wanting to improve their overall wellness. 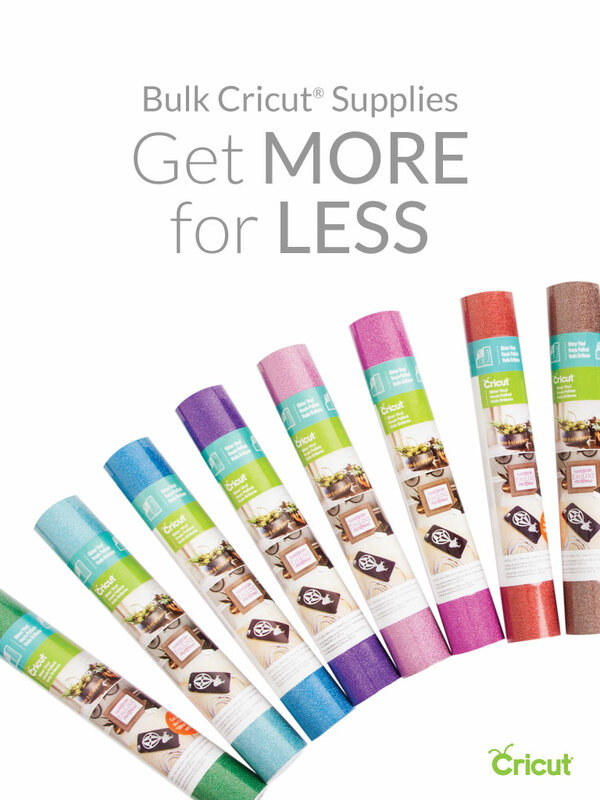 For anyone who has a Cricut or is considering getting one, this is the perfect time to get a machine or stock up on supplies. Celebrate Christmas in July with great deals at Cricut for a fully stocked craft area in your house. Think of all the holiday gifts you can make and wow your recipients! While I consider myself a little on the creative side, I will admit that I am totally drawn to the Cricut Access™ membership which provides a lot of ready to go options. A subscription is $10 per month or you can prepay for one year making it $7.99 per month. Aside from a discount on orders, you also have unlimited access to over 30,000 images, over 1,000 Make It Now™ projects and 370 fonts. Be on the lookout for upcoming posts here showcasing some of the projects I am making with my new Cricut. I know that I am excited and suspect my boys will enjoy helping me make some of the ones I’ve earmarked. Until then, don’t miss the special sale!